The one thing I noticed once I received and tried this diaper is that its style is very similar to some other diaper lines that are beginning to debut out there (such as the line by Lovely Pocket Diapers, which I reviewed last month). Off-shore made diapers are continuing to get better and better in their quality, with even more selections of prints and solids, and they stay affordable as ever in their pricing. The bambinoBUMS lineup is no exception. I felt that these are well-constructed diapers that felt solid to me, and at the summer pricing of only $11.20 for the shell plus insert, these are an affordable choice for most families. One of the changes that just occured to the bambinoBUMS design is that it now has the added ability for cross-over snapping on the waist snaps, and a hip snap was also added to each side. These are two crucial elements to me in all the diapers I enjoy most of all these days as I find they get the best fit and prevent wing droop especially now that I have a little 10 month old squirmer on my hands. So, with all the rolling, crawling, and side- and belly-sleeping going on at my house these days, we still got a great fit with the three snaps on each side being able to adjust perfectly. The tabs on this diaper are rounded, which is not always my favorite design (there are plenty of other diapers out there with this pattern as well). I simply find that I prefer the square-tab style better since it seems to better prevent the fabric from rolling and flipping up at the edge. This is purely an aesthetic value, however, as the snaps still stayed fastened just as well, and once pants or sleepers were on, the edges laid flat under the clothing. 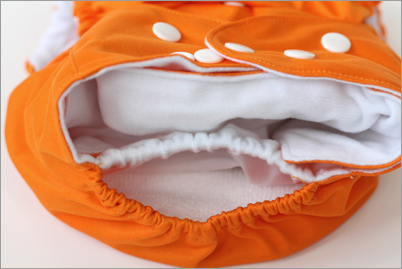 This is a pocket diaper with a roomy, uncovered pocket that is stuffable from the back. 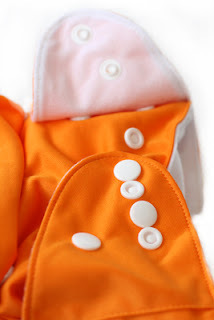 I've said it before in other reviews, but I personally prefer envelope-style pockets (ones that are covered with a flap) as I simply find that the lining cannot budge within those types of diapers, where as this roomier, elasticized pocket can have a tendancy to sneak up outside the back of the diaper shell if you're not attentive. However, as this is a similar construction as many other diaper names out there (Lovely Pocket Diapers, ComfyRumps, and even FuzziBunz), I am used to that design feature and am cautious to always tuck in well before clothing baby or laying her down to sleep. Speaking of sleep, this diaper had no problems absorbing just fine during naps or overnight use (double stuffed). The roomy pocket easily accomodated extra stuffing when I needed to do so. The inner lining itself is a soft microsuede (not fleece) that lays flatter and smoother. Microsuede is superior to microfleece in that it rinses cleaner and is very easy for simply dumping solids over the toilet (nothing sticks to its smooth surface). However, in terms of stay-dry capacity, I still prefer microfleece over the suede to a slight degree. Although this pocket design does a great job of wicking moisture down into the microfibre pad beneath the top layer, I do find that the microsuede can retain a bit of a damp feeling to it, especially if the underpad is saturated. 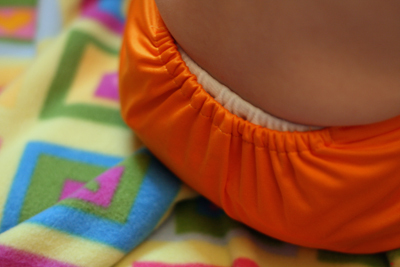 For that reason, I always added a microfleece liner for overnight use, just to ensure that baby's bottom stayed nice and dry. all the snaps allow for a perfect fit! Overall, with its highly adjustable waist, customizable rise snaps, and comfy, elasticized waistband and leg gussets, this diaper never had any leaking or wicking problems, and it got a great fit! Although slightly bulkier than a Hipkiddo or FuzziBunz pocket diaper, I found this on par with the vast majority of other pocket styles out there, such as Lovely Pocket Diapers, KaWaii, ComfyRumps, and the like. 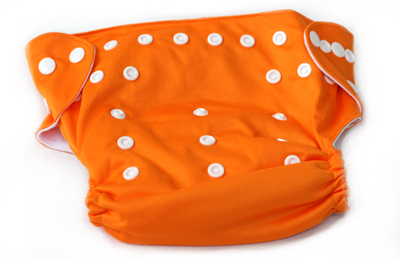 It's also a great, fashionable diaper just perfect for pairing with a sweet summer outfit! I love to see bambinoBUMS constantly coming out with such fabulous new product lines, and I always love supporting a local mom who is just down the highway from me, too! Read on, because Miranda would also like to send one of our lucky readers a treat from bambinoBUMS too! 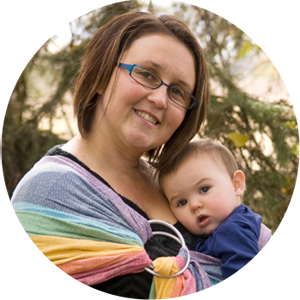 Head over to the Calgary Cloth Diaper Depot to check out their bambinoBUMS one-size pocket diapers. SUMMER SPECIAL: All bambinoBUMS diapers are 20% for the month of July! Don't miss it! 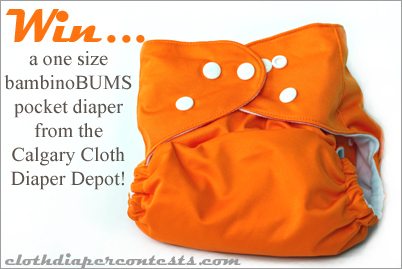 Calgary Cloth Diaper Depot is also offering one lucky winner a bambinoBUMS OS Pocket Diaper in their choice of available color! Final details: I received no financial compensation for this review or giveaway, though I did receive the sample items free of charge. All opinions shared are my own, and I was not persuaded to share anything other than my own thoughts. Other users may have different experiences with this product than what I have shared. This giveaway will end on July 26, 2011 at 11:59pm MST and is open to residents of Canada and the USA only. Winner will be chosen randomly using random.org’s services. The winner will be contacted by email and will have 48 hours to reply before a new winner is chosen. The prize will be supplied and mailed out to the winner by the sponsor of this giveaway. I would choose the Green Grass color. I subscribe to you by email. I 'like' CDC&G on Facebook! such gorgeous colours! i love green grass! i'd love the red diaper! I would like a Papaya Orange diaper! 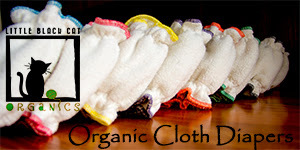 I like Calgary Cloth Diaper Depot on FB already! I'd love to have the orange! I think i'd have to get papaya. I love orange things. I still like Calgary cloth depot on Facebook. I'd like to try their new white diaper. I still like you guys on Facebook. I'm a fan on FB (Melissa Stitt). I would love to try the Granny Smith Apple Green! I would most like to win the Marina Blue. The raspberry color is pretty. I'm an e-scriber of your blog. 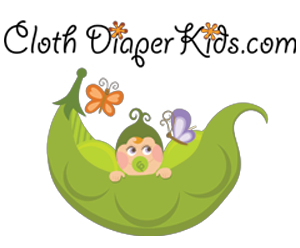 I follow Cloth Diaper Contests & Giveaways via GFC. I would like to try the Raspberry if I were to win. I like Cloth Diaper Contests & Giveaways on FB. I like Calgary Cloth Diaper Depot on FB and wrote on their wall. I like the red color! I love the ruby red color! I' like to try the Ruby Red or the Earth Blue. I like the Jade Green BambinoBUMS color the best! I would choose white or lavander colour.